Much of my blogging has been in the area of apologetics. That makes me very interested in the other apologetics resources that are available on the internet. One of the best resources that I have encountered is a website called The Poached Egg. The Poached Egg is a blog that gathers the best apologetics content from around the web and brings it together to one place. It is run by Greg West and I have come to greatly appreciate the work that Greg does. One of the things I respect about Greg is that he doesn’t just use other people’s content for his own purposes but makes sure to send his readers to the original websites. There have been a number of times that I have noticed a spike in my traffic and then tracked it down to something Greg has shared. 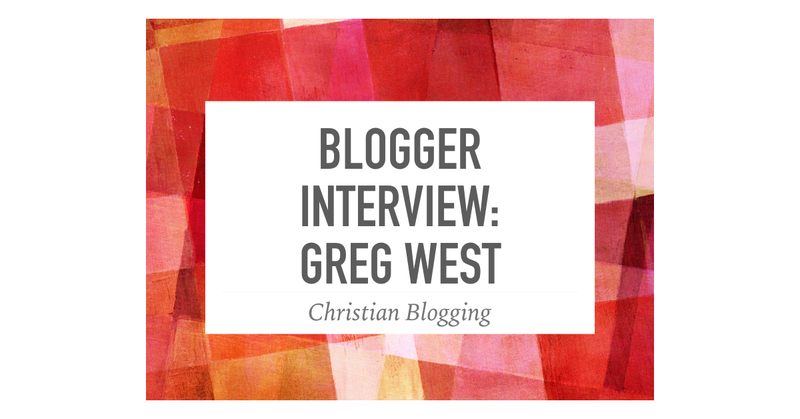 I recently had the opportunity to ask Greg some questions about blogging. 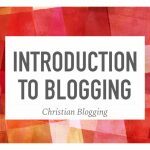 Whether or not you are involved in apologetics, you will find Greg’s insights on Christian blogging to be very helpful. You are the curator of one of the most popular apologetics websites: The Poached Egg. Where did that name come from? I wanted the website’s title to be relevant to what it’s about, but I also wanted it to be a little unusual, and also hopefully, memorable. I had just recently read Mere Christianity, and ‘The Poached Egg’ just kind of jumped out at me. Well, I used to create some websites back in the day before blogging had really started to take off. I used to write my own code in Notepad, so I had a good working knowledge of HTML. In 2010 I had already been studying apologetics for several years, but I was just discovering that there were all these great apologetics resources online. I thought, why not create a website that is an aggregator for all this great information being put out there and bring it all in one place to make it easier for people to find, and also maybe discover a writer or resource that they hadn’t been aware of before? I do write an occasional post myself, but my talent really lies in processing through all this information that’s out there (with much of it being misinformation) and put it all together in a way that’s accessible. You share the best of other people’s blog posts. What do you look for in a good blog post? The primary thing I look for is, is it accessible for a general laymen audience. I do make occasional exceptions, but I don’t want my readers have to have a degree in philosophy or theology to understand what the author is trying to say. Secondary things I look for are length, grammar, presentation, etc. 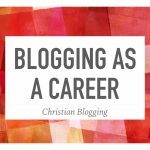 How has Christian blogging changed since you first became involved in blogging? I would say the main thing is that there is so much more of it out there now- both good and bad. One has to be discerning. When I started TPE in 2010 there were relatively few good apologetics websites and blogs out there, but today the available resources are nearly inexhaustible with more popping up everyday, and I think that’s great! 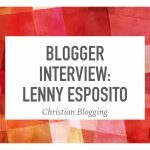 If you could give one piece of advice to a Christian blogger, what would it be? Well, I find it very hard to narrow it down to one, but I’ll try to keep it to just a few. First I would say that bloggers need to take advantage of all the resources they can to get readers to their blog. At the very minimum you need to have a Facebook page and a Twitter page, and while I don’t think that social media is as effective in driving traffic to your site as it used to be, it’s still a necessary tool and I run across a lot of blogs that aren’t taking advantage of social media at all. 9 times out of 10 when I discover a new blog it’s via social media. I also run across quite a few where I can’t find the author’s name anywhere on the site. If you don’t want your real name to be public, then at least use a pen name. Finally, I would say to stick to topics you know well and be sure to check your spelling, punctuation, and grammar. We all have the occasional typo that slips by us, but I’ve passed on articles because of this that otherwise had good information.